Benefits galore for commercial practitioners! STLCDS is a MUST for commercial practitioners! St. Louis Commercial Data Systems is ESSENTIAL for those looking for a commercial only data listing exchange service ... but STLCDS also provides a wealth of other benefits for your business as well. Click here to view the September 11 issue. 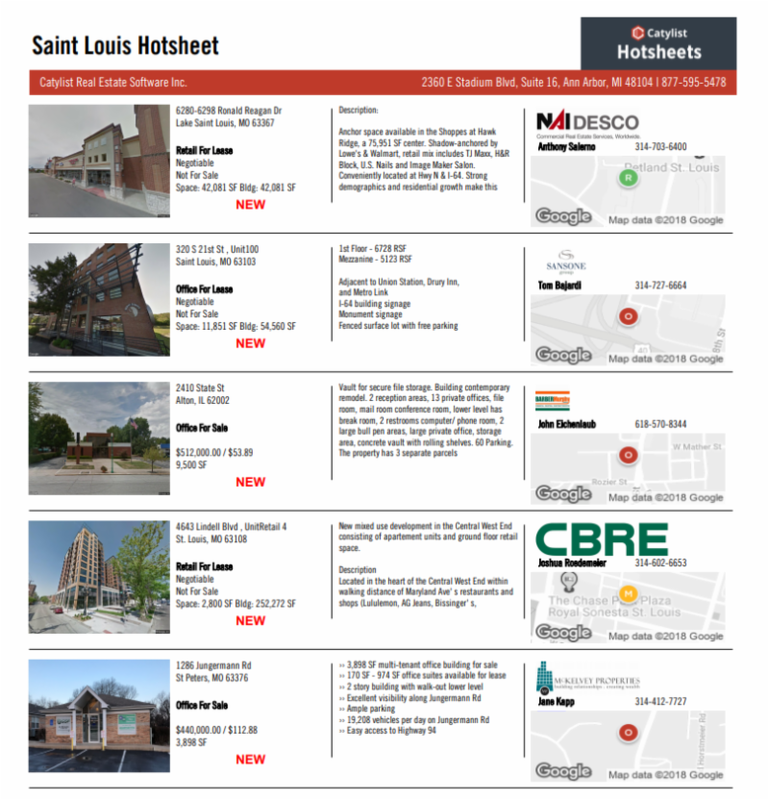 future Hotsheet, send details to stl@catylist.com . 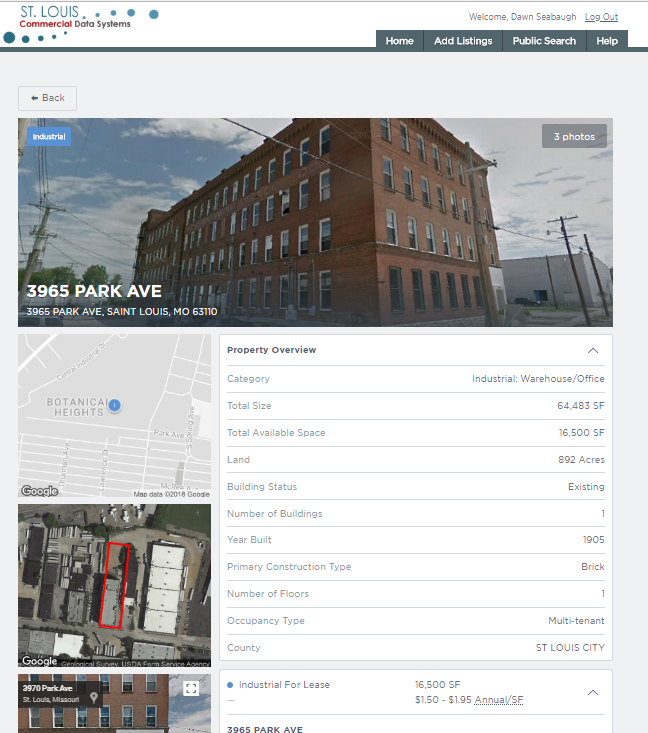 Submission of property listings and leases is FREE - no commitment necessary! using STLCDS been so far? Share your suggestions to improve the system - or your positive feedback - with us at membership@stlcds.com . ﻿short 8 minute video on the latest STLCDS improvements! Questions? Email membership at membership@stlcds.com or call 314-576-0033. ﻿For pricing and other important information visit stlcds.com.